The new generation of shooting backpacks has arrived, and it is bigger and better than ever! No other comes close! Competitive Edge Dynamics and Double Alpha Academy are proud to introduce the latest and BEST in this style of range bags! The backpack is designed to stand upright on its rubberised waterproof base, allowing for easy access to all its multiple compartments. 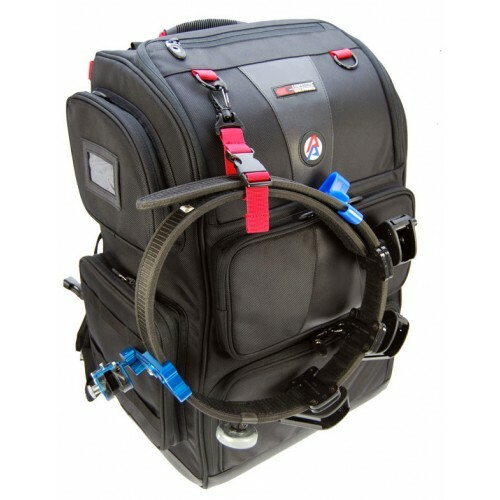 Starting with the large lockable upper compartment, which includes a detachable 7-pocket magazine holder. Additional pockets specifically designed for a mag-brush, hearing protectors and a bottle of Progrip or to store the combination cable lock. There is even a pocket designed for the multi-purpose plastic utility box that comes included. The structured cover of this upper compartment includes a zippered pocket for papers, business cards, and pens, as well as elastic straps for additional tools and accessories.